The Community College of Rhode Island is the state's only public comprehensive associate degree-granting institution. We provide affordable open access to higher education at locations throughout the state. 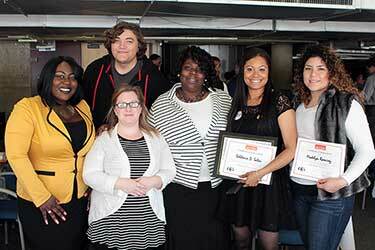 Our primary mission is to offer recent high school graduates and returning adults the opportunity to acquire the knowledge and skills necessary for intellectual, professional and personal growth through an array of academic, career and lifelong-learning programs. We meet the wide-ranging educational needs of our diverse student population, building on our rich tradition of excellence in teaching and our dedication to all students with the ability and motivation to succeed. We set high academic standards necessary for transfer and career success, champion diversity, respond to community needs and contribute to our state's economic development and the region's workforce. 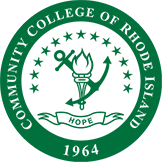 CCRI does not discriminate in admissions, recruitment, services or employment on the basis of race, color, national or ethnic origin, citizenship status, marital status, gender, gender identity or expression, religion, disability, age, sexual orientation or status as a protected veteran (either disabled, recently separated, qualified covered, Armed Forces service medal, or any other protected veteran status), except in those special circumstances permitted or mandated by law. Anyone who has reason to believe he or she has been discriminated against may contact the Office of Institutional Equity and Human Resources, 400 East Ave., Warwick, RI 02886-1807, 401-825-1230. Individuals who are interested in attending CCRI events but require special accommodations because of a disability should contact the director at least one week before the event. CCRI campuses are accessible to individuals with disabilities. Questions regarding access and evacuation procedures should be directed to Campus Police: Flanagan Campus in Lincoln, 401-333-7035; Newport County Campus, 401-851-1620; Liston Campus in Providence, 401-455-6050; or Knight Campus in Warwick, 401-825-2109. The Community College of Rhode Island prohibits smoking in all of its campus facilities as well as at all points of access and egress from its facilities, including all connecting ramps and walkways such as those at the Knight Campus megastructure. Smoking is allowed at or beyond designated enclosures located at each campus or at a distance equal to those enclosures from the building. Smoking includes traditional tobacco products as well as "electronic cigarettes" and similar devices. Failure to comply will result in disciplinary action as stipulated by the dean of students for student infractions, and the appropriate disciplinary process as set forth in collective bargaining agreements or Board of Education policy for faculty and staff. The prohibition within all facilities will not apply to the use of tobacco products as part of a preapproved, limited classroom demonstration or research project. At the time of its creation, information contained in the 2019–2020 edition of CCRI's catalog was known to be accurate and complete to the best of the knowledge of CCRI faculty and staff. Please be advised the college reserves the right to make changes at any time to admissions policies, degree requirements, curricula and any other information contained in the catalog as it deems necessary, without notice or obligation. Also be aware that tuition and fees at the Community College of Rhode Island may be adjusted by the action of the Rhode Island Board of Education. Every reasonable effort will be made to communicate these changes in a timely manner to minimize any inconvenience to students. Students may find the most current information on courses by visiting the Available Courses page of the college's website.